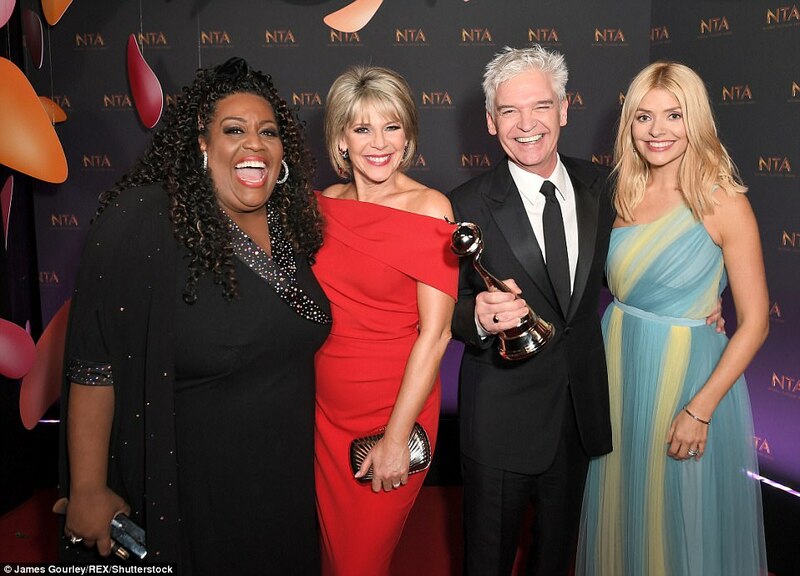 National Television Awards 2018. We saw some amazing evening dresses to hire: Olivia Atwood’s dress, Holly Willoughby’s dress, Lucy Fallon’s dress, Georgia Toffolo’s dress and many more celebrities looking stunning in their cocktail and black tie gowns! This blog will feature some of our favourite Long dresses from the NTA’s last night! Love Island star, Olivia Atwood, stole the show in a Malan Breton dress. This strapless blue dress with a high slit ensured the Love Island star would be in the spotlight. The dress was covered in floral embroidery and she paired it with pointy stilettos and a dark blue clutch. Starting to plan your prom dress? Shop online for our blue strapless dresses for the perfect prom dress! Made In Chelsea star, Toff looked sensational! How much are you loving this pastel pink dress! this colour is perfect dress for a black tie event you might have coming up, or a gorgeous prom dress to hire! Holly Willoughby looked as gorgeous as ever! The fashion icon was seen in a long pastel blue dress, taking centre stag and all attention was on her! Pastel colour dresses was clearly the style to be seen in. Holly’s pastel coloured dress ensured she gained even more style points! Holly is known for her daily style updates. Her appearance every day on This Morning is one to watch out for! Her appearance at the National Television Awards did not disappoint. Have a special event coming up? Shop our long blue dresses and hire a dress! Rochelle Humes looked fantastic in a short purple dress! The Saturdays signer had all eyes on her in this gorgeous dress! It is the perfect mini dress for dress too! Prefer to hire a mini dress to a hire a long dress? So did Rochelle Humes! This Lilac dress was a definite ‘WOW’! Have a party coming up, a purple mini dress is definitely the way forward. We do next day delivery or same day delivery if you live in London, for all orders placed before 1pm, so its not too late to hire a designer dresses of your dreams! Check out our latest article on the Memo about how dress hire in the UK is the greener and avant-garde approach to fashion? Tags: Uncategorized. Awards, awards ceremonies, ball dress, ball dress hire, ball dresses hire, ball gown hire glasgow, ball gowns to hire london, Becky Vardy NTAs, celebrities, Celebrity Dresses, celebrity fashion, Celebrity style, cocktail dresses, designer, Designer dress, designer dress hire, Designer dresses, dress hire leeds, dress hire liverpool, dress hire manchester, dress of the week, Dresses, Fashion, Georgia Toffolo, Georgia Toffolo dress, Georgia Toffolo dresses, Georgia Toffolo NTAs, Girl Meets Dress, GMD, hire a dress, hire celebrity dresses, hire cocktail dresses, hire designer dresses, hire dress, Hire dresses, hire mini dress, hire mini dresses, holly willoughby dresses, Holly Willoughby NTAs dress, long dresses, National Television Awards, nta, party dress, party dresses, party dresses uk, Prom dress, rent a dress, rent celebrity, rent celebrity dress, rent celebrity dresses, rent celebrity style, Rent designer dresses, rent dresses, Rent dresses in Edinburgh, rent dresses leeds, rent dresses london, rent dresses manchester, rent dresses uk, Scralet Moffat Dress, short dresses, style, Toff NTAs, Vanessa White NTAs, What did Holly Willoughby wear to the NTAs?, What the female winners wore to the NTAs?, Who won the NTAs?. Last night were the National Television Awards (NTAs), where British celebs on the small screen got all dressed up. Girl Meets Dress has complied a list of dresses that the female winners wore, so you can feel inspired for your next event. I’m a celebrity, get me out of here won the award for Challenge show. Toff, who recently won Queen of the Jungle, wore an amazing pastel pink strapless gown, which contrasts to 2016 Queen of the Jungle Scarlet Moffat and co host for I’m a celeb extra camp, opting for a bardot daring red floor length dress. Both looked equally as stunning of course. From Left to right, Vanessa White, former the Saturday’s singer looked divine in the blue and black gown, with a plunging neck line, while Becky Vardy, looked elegant in an ivory floor length gown. Jennie McAlpine aka Fiz from Corination Street, opted to go with a bright purple midi dress, while comedian Shappi wore a long black gown. 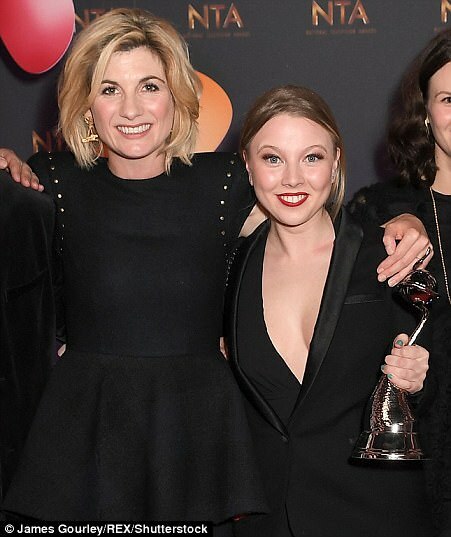 Jodie Whittaker, who is also the new Doctor Who, looked fabulous last night accepting the award, wearing a black dress. Emmerdale won the award for serial drama. Doesn’t this Emmerdale actress look amazing in her navy dress? Suranne Jones won the award for Drama Performance in her role for Dr Foster and donned a suit at the awards. Sian Gibson looked ecstatic in her black one shoulder dress, when she won the award in the comedy category. Don’t the girls of Strictly look fabulous in their floor length dresses? Especially Tess Daly in her black thigh high split dress and Mollie King in her grey long dress. Lucy Fallon won the award for Serial Drama Performance for her role as Bethany and looked spectacular last night in her black sparkle gown. Obviously ‘This Morning,’ won in the daytime category, with British sweetheart Holly Willoughby looking amazing in her blue dress. Tags: Event Reports. Awards, awards ceremonies, ball dress, ball dress hire, ball dresses hire, ball gown hire glasgow, ball gowns to hire london, Becky Vardy NTAs, celebrities, Celebrity Dresses, celebrity fashion, Celebrity style, cocktail dresses, designer, Designer dress, designer dress hire, Designer dresses, dress hire leeds, dress hire liverpool, dress hire manchester, dress of the week, Dresses, Fashion, Georgia Toffolo, Georgia Toffolo dress, Georgia Toffolo dresses, Georgia Toffolo NTAs, Girl Meets Dress, GMD, hire a dress, hire celebrity dresses, hire cocktail dresses, hire designer dresses, hire dress, Hire dresses, hire mini dress, hire mini dresses, holly willoughby dresses, Holly Willoughby NTAs dress, long dresses, National Television Awards, nta, party dress, party dresses, party dresses uk, Prom dress, rent a dress, rent celebrity, rent celebrity dress, rent celebrity dresses, rent celebrity style, Rent designer dresses, rent dresses, Rent dresses in Edinburgh, rent dresses leeds, rent dresses london, rent dresses manchester, rent dresses uk, Scralet Moffat Dress, short dresses, style, Toff NTAs, Vanessa White NTAs, What did Holly Willoughby wear to the NTAs?, What the female winners wore to the NTAs?, Who won the NTAs?.